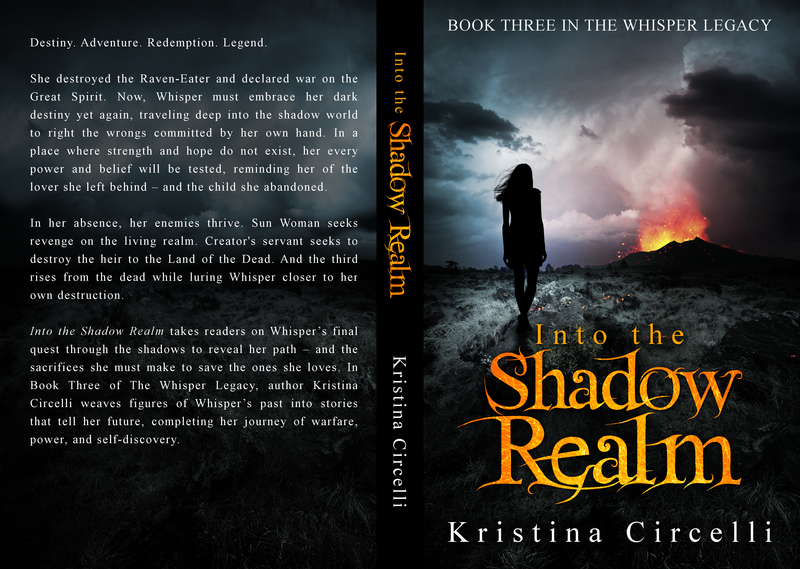 This is a cover that I designed for Into the Shadow Realm by Kristina Circelli. 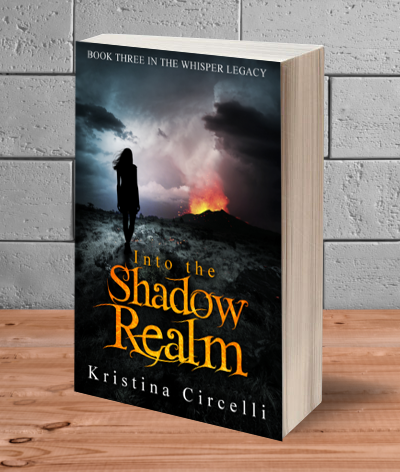 The book is a Young Adult Fantasy Novel, featuring native American folklore. 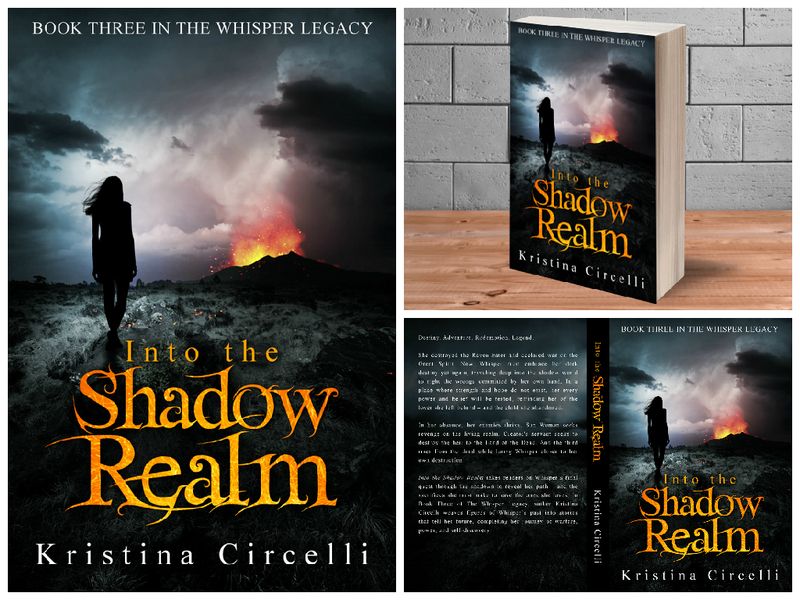 Kristina wanted a figure of a woman on her cover, but she wanted the focus to be on a dramatic landscape, including an erupting volcano.